GDP in 3Q grew at 2.28% year-on-year, close to our forecast of 2.0% but below the 3.3% pace in 2Q and the 3.1% rate in the first quarter. Consumption contributed only 0.998 percentage points, which is a downward surprise to us as we expected spending to prop up the economy during the trade dispute. Instead, most of the GDP growth came from investment, which we believe is from an increase in inventories (this will be clearer when the data is updated in November). If that is the case, it means that Taiwan growth is worse than the official statistics suggest. Slowing economic growth, especially in exports, we believe is a result of the bilateral trade war between Mainland China and the US. In the past 12 months, Mainland China, together with Hong Kong, accounted for 32% of Taiwan's exports. 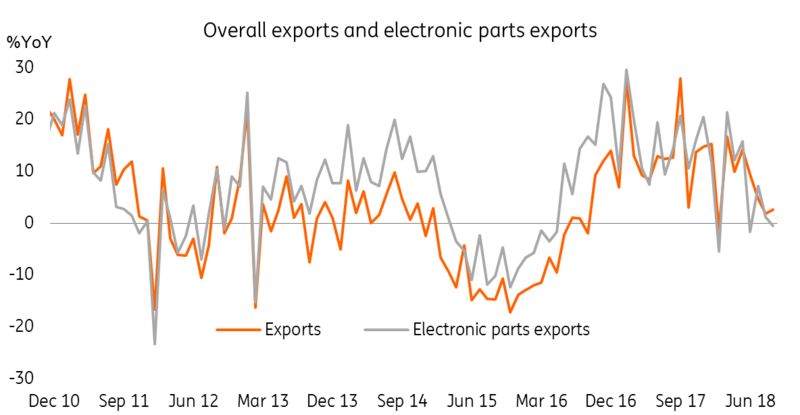 When China's exports slow down, imports from Taiwan, including electronic materials, slow at the same time. And we think the worst is yet to come. 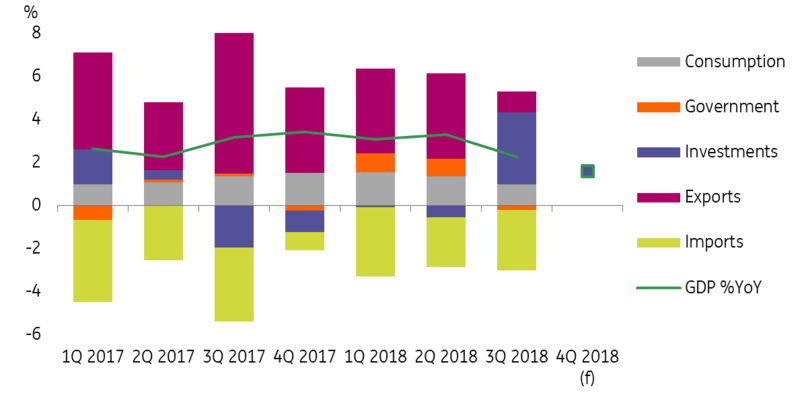 GDP growth in 4Q18 could slow to 1.6% YoY, suggesting that GDP will grow 2.57% in 2018 overall. If the trade dispute continues into 2019, we expect Taiwan's exports will be hurt further and GDP growth could slow to 2.0% next year. 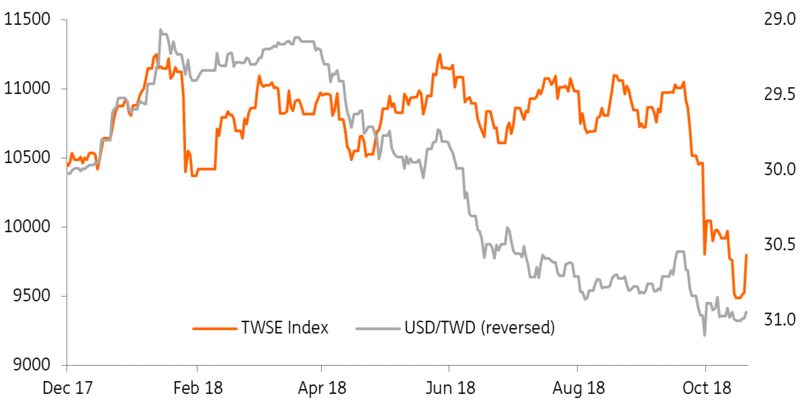 The Taiwan dollar (TWD) is weakening against the dollar and hit our 4Q18 forecast of 31.00 earlier this month. We believe that the currency could get some support from foreigners holding more Taiwan equities, which could slow down the depreciation but this won't prevent the currency from weakening. As the Chinese yuan continues to weaken due to the escalating trade war, we expect that the TWD will follow suit. We maintain our forecast of USD/TWD at 31.00 by the end of this year. And we expect the currency pair to go to 32.00 in 2019.